Course Website: Official Website - Visit Blue Lakes Country Club's official website by clicking on the link provided. 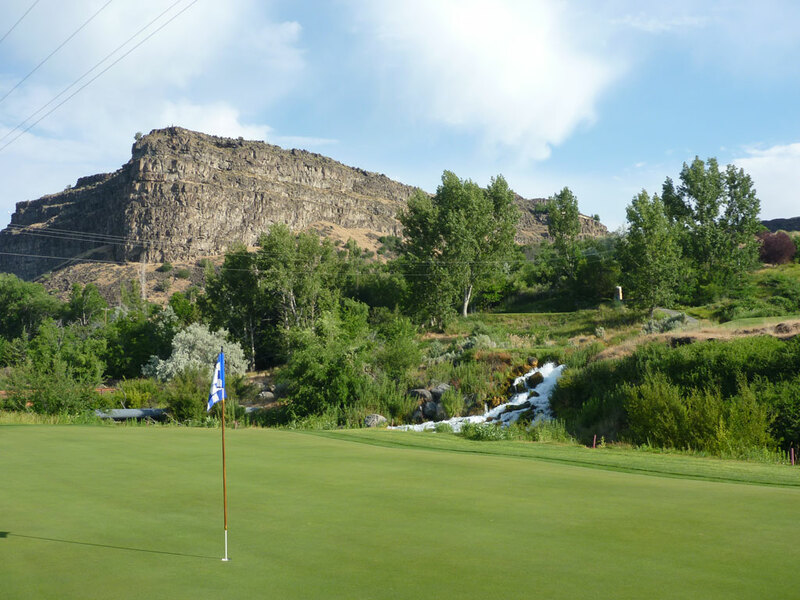 Accolades: Ranked 8th in Idaho on Golf Course Gurus' Best in State list. What to Expect: As many gorgeous courses as I've had the opportunity to play, I'm still amazed at the beauty and relative obscurity of Blue Lakes Country Club. 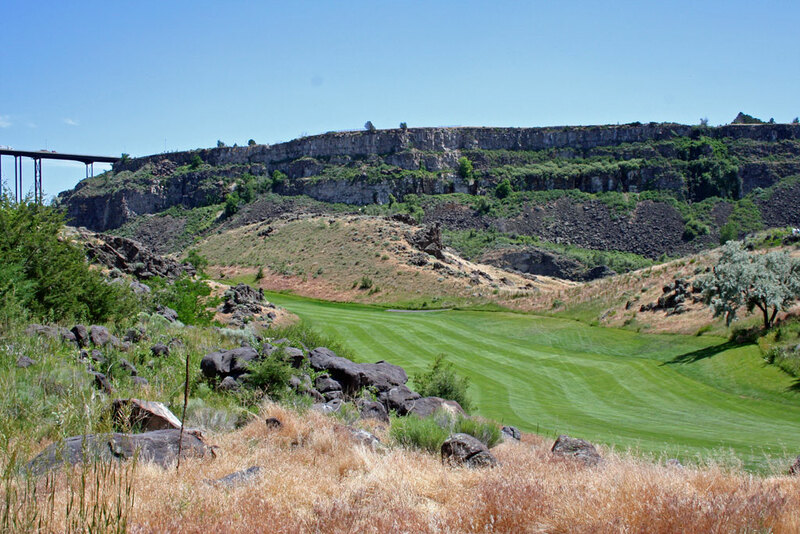 Pinned between the Snake River and towering lava rock walls, Blue Lakes looks more like a course you'd find on the Big Island of Hawaii than in Southern Idaho. To get down to the course you have to wind down a tight one-car wide road where you eventually see the natural sparkling turquoise blue lake from which the club gets its name. 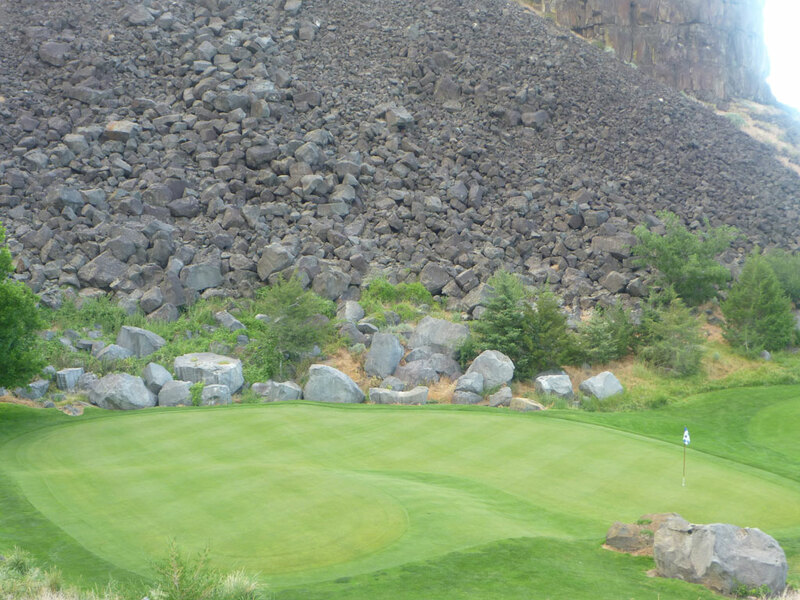 Not a long course by modern standards, Blue Lakes commands precision golf shots to avoid the many lava rock formations that come into play throughout the course and will surely cut up your golf ball and your cleats if you try to find it. In the end, the course offers phenomonal views and a stunning collection of par threes that few courses can compete with. Signature Hole: 6th Hole – 200 Yard Par 3 – The signature hole at Blue Lake Country Club plays 200 yards long and drops 200 feet down. 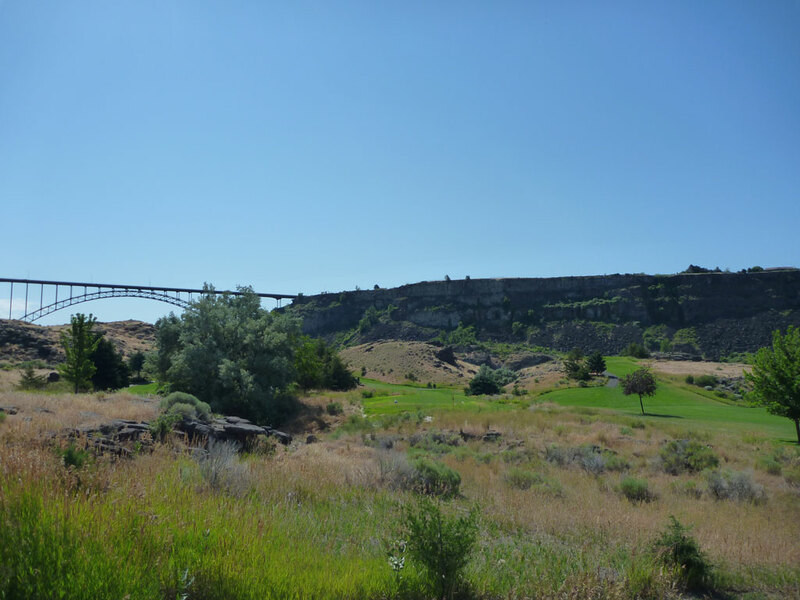 The tee shot is played from a cliff top down to a green that is tucked back into the Snake River and is framed by mature trees and a towering rock formation. 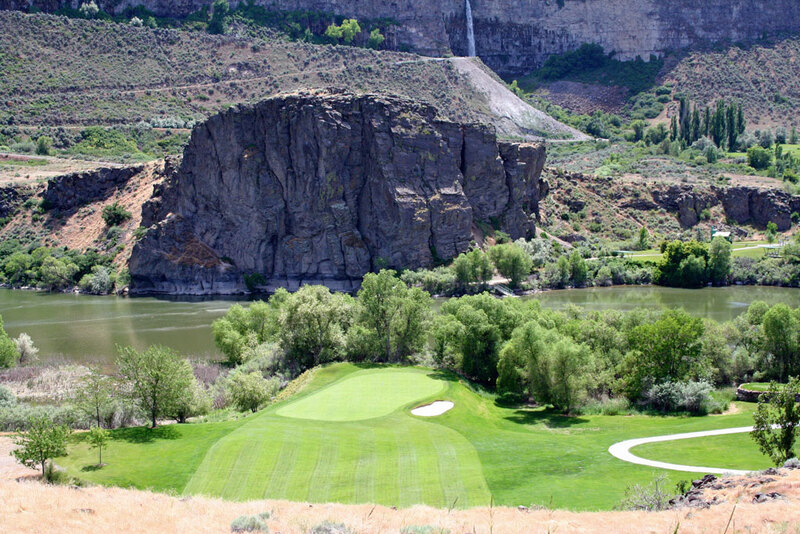 It is truly one of the most stunning, natural holes in all of Idaho. 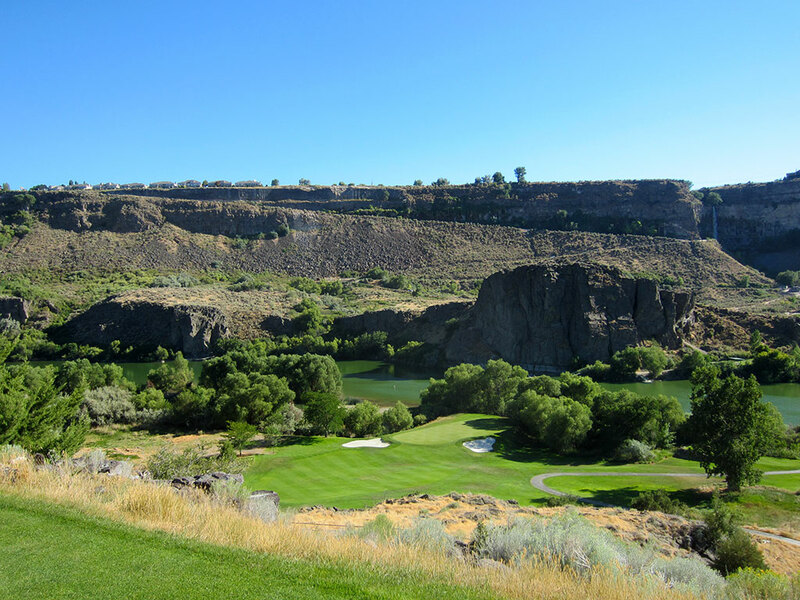 Best Par 3: 15th Hole – 208 Yards – Blue Lakes features three flat out beautiful par threes that have no business being in the desert of Idaho. Since the 6th was already featured, the 15th deserves to get a bit of recognition as well. Measuring out at 175 yards, the 15th hole plays downhill over crystal clear Alpheus Creek and a series of waterfalls to a shallow, wide green. This hole also offers one of the few times a golfer might feel good about knocking his tee shot into the water since he will have an opportunity to visit the beautiful drop area that rests just above a waterfall. The natural beauty of the 15th has to be seen to appreciate. Best Par 4: 3rd Hole – 350 Yards – How often are you faced with a double blind, double dogleg par four? The 3rd hole at Blue Lakes is the only one that I've encountered and thus it takes the honors of being the featured par four. A very narrow hole, the risky player will bomb a driver off the tee in hopes of carrying both turns in this snake shaped hole and thus find the sliver wide fairway in front of this approachable green. The conservative player will hit their tee shot less than 200 yards to the corner they can see before taking a tough angled 150 yard shot that brings the two greenside bunkers more into play. This is truly a target golf test. 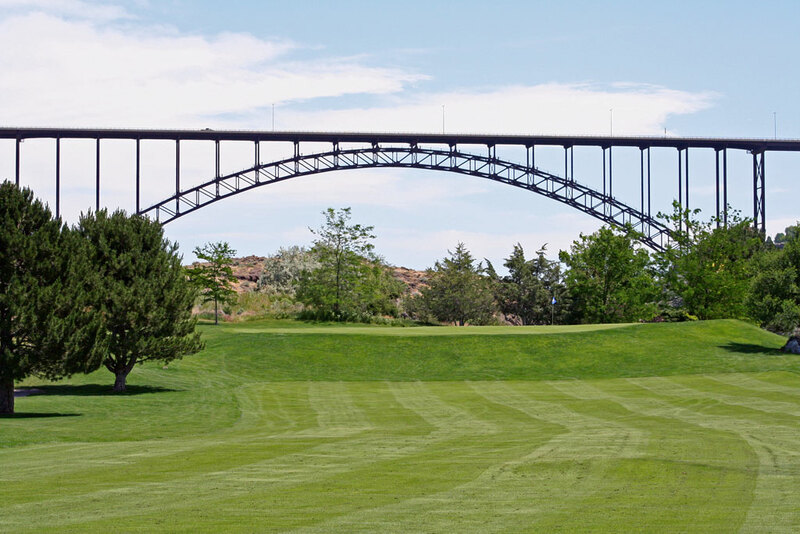 Best Par 5: 2nd Hole – 520 Yards – The 2nd hole at Blue Lakes is a solid risk/reward hole where the golfer gets to gamble on how much of the dogleg they think they can cutoff with their tee shot that much carry Bass Lake. The difficulty of this hole comes into play during the last 10% of the hole where the golfer is faced with attacking a three-tiered elevated green where three putts are common. Birdie Time: 11th Hole – 285 Yard Par 4 – Blue Lakes features two par fives under 480 yards (8th and 16th) which certainly qualify as great opportunities to score birdies, but I'm going to go with the driveable 11th hole as your best chance to go under par. 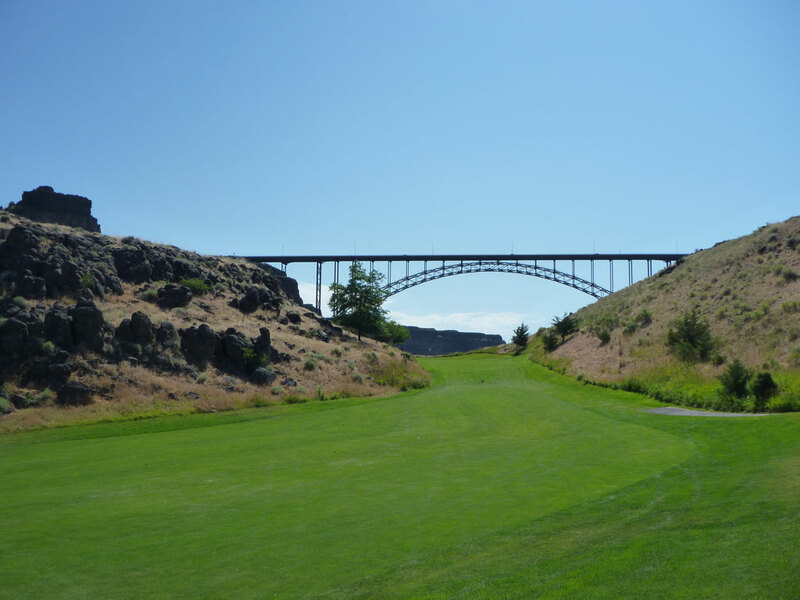 Only 285 yards in length, distance can be taken off the hole by cutting over the dogleg right corner and flying it 250 yards to the very unique three-tiered green that is shaped like a reverse-C with long grass filling in the opening of the C-shape. Getting on the correct tier is critical on this green, especially with the long grass in the middle, but from there you should be in great shape to go under par. 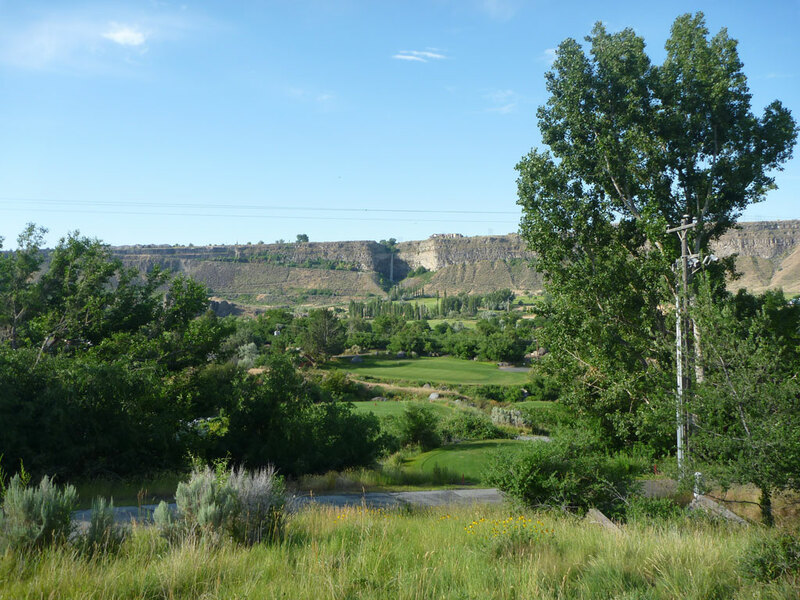 Bogey Beware: 4th Hole – 405 Yard Par 4 – From the white tees the 4th hole is a pretty tame par four where is layup to the dogleg corner will leave you a great angle into the 48 yard deep green. 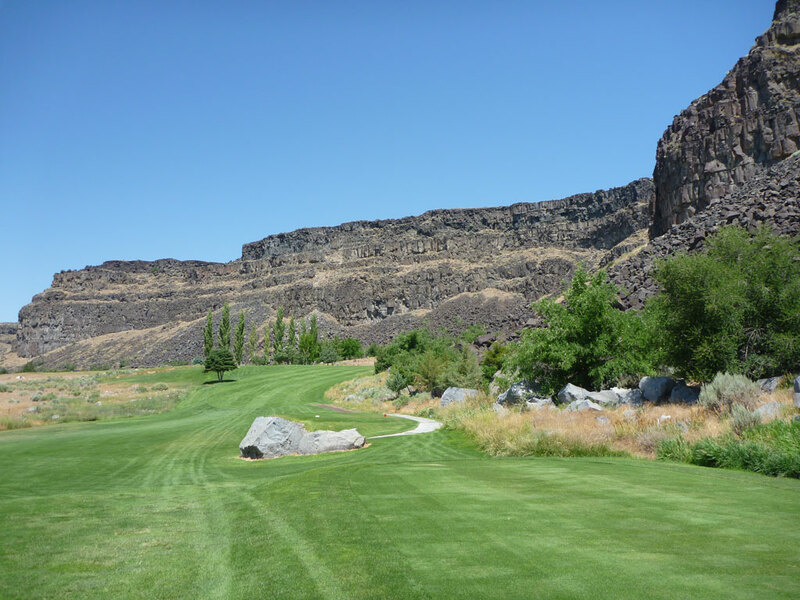 But take it back one set of tees and you are faced with an additional 100 yards and will have to thread a driver through a virtual lava "needle hole" to find the fairway. The green is very narrow and deep which causes additional problems on this uphill approach shot that features the famous I.B. Perrine in the background. This will be your toughest tee shot all day long.